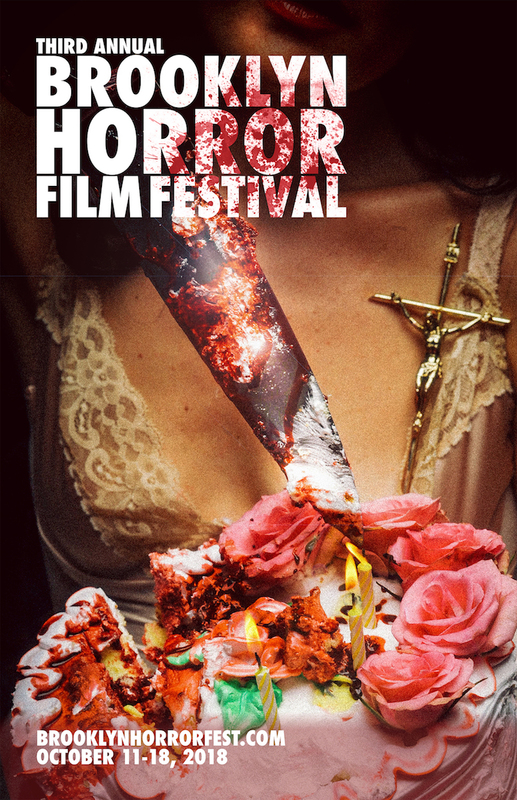 The Brooklyn Horror Film Festival returns October 11th to 18th in venues across Brooklyn, New York, and announced the first wave of horror films along with the brand new HEAD TRIP block spotlighting films that push the boundaries and expectations of the horror genre. Yann Gonzalez’s ravishing, Cannes selected slasher KNIFE + HEART opens and Perry Blackshear’s latest concludes the festival week with his haunting and intimate sophomore feature THE RUSALKA as part of the new Head Trip program. Swedish writer-director Isabella Eklöf’s unnerving debut was considered one of the darkest films at Sundance, as it examines the difficult topic of how some women stay with and protect their abusers. Ad Nauseam: Newsprint Nightmares from the 1980s, a 1984 Publishing title presented by Toronto-based horror periodical Rue Morgue and edited by former Rue Morgue editor-in-chief Dave Alexander, will highlight a golden age of horror movie ads. The 248-page, full-color, hardbound book features more than 450 rare, vintage ads culled from Gingold’s personal archive. Growing up in the ’80s, the future Fangoria writer and editor would carefully cut out ads he saw in local newspapers, leaving him with a collection tracing horror movie history via both blockbusters and obscurities.